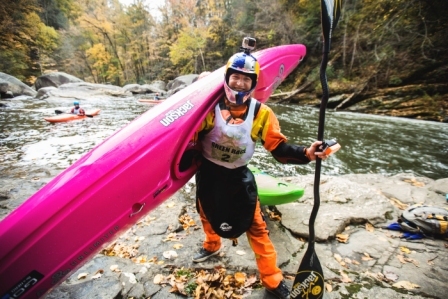 Dane Jackson is used to cleaning up in kayak competitions, be it the North Fork Race, the GoPro Games, World Kayak Freestyle Champs or Whitewater Grand Prix. Now he’s doing so on his hometown Nolichucky River. 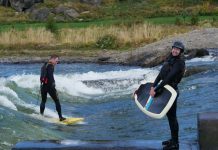 RedBull.com: Tell us a little about the stretch of river you and your crew cleaned up. We did the Nolichucky River in Tennessee, one of the more popular rafting destinations in the state. It’s a great river for rafting with the family, but also has a great section for lots of kayakers in the area. It’s just a super scenic and beautiful river. The locals are awesome and it’s just a great place to be. 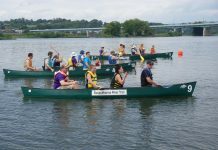 What other types of recreation happens on the river? People love rafting and kayaking here almost year round. Plus there’s good fishing, swimming, a few parks, camping and lodging along the river. The easy access and beautiful scenery make the Nolichucky a great place to get outside. And the colors in the fall are unreal. I’ve spent my entire life in or around the river and it’s so mind blowing that so many people just throw their trash in the river. Out of sight, out of mind, I guess. It doesn’t matter how beautiful a river is, it’s like people think it’s just something that’s there in their backyard but no one uses it for anything. Which is crazy! Throwing trash in river affects everything, from wildlife to humans. And it can really affect people’s perceptions. When someone sees trash in a river, it makes it way easier for them to throw their trash in as well. It can become a negative cycle really quickly. What sort of issues does trash in the river present for wildlife as well as recreation? Trash affects the entire ecosystem of a river. Some waste, like motor oil, is completely toxic and other stuff, like plastic bags, just sticks around forever. Old pieces of metal rust and get sharp; same with aluminum cans — both of which can end a fun day on the river for anyone. It really comes down to ignorance and laziness because it just doesn’t make any sense to throw trash in a river. People come from all over to be around the Nolichucky and it looks bad on the locals. 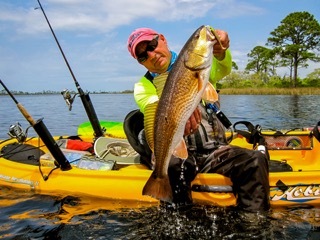 Trash can ruin someone’s experience on the water which in-turn affects tourism, guiding outfitters and local businesses. Tell us about your experience cleaning up the river and what the local impact was. There were about 10 local kayakers and raft guides with us and this is these kayakers’ home, where they work year round, day in and day out. So for them, it must’ve been brutal to see so much trash at their home spot. But I don’t think they truly realized how much trash was in the river until they paid attention to it with us. I think it opened their eyes a little. Especially on our second lap … seeing how different the river looked after cleaning it up. They were really thankful that we did it and they left talking about doing more regular cleanups and even going to the schools to talk about not throwing trash in the river. 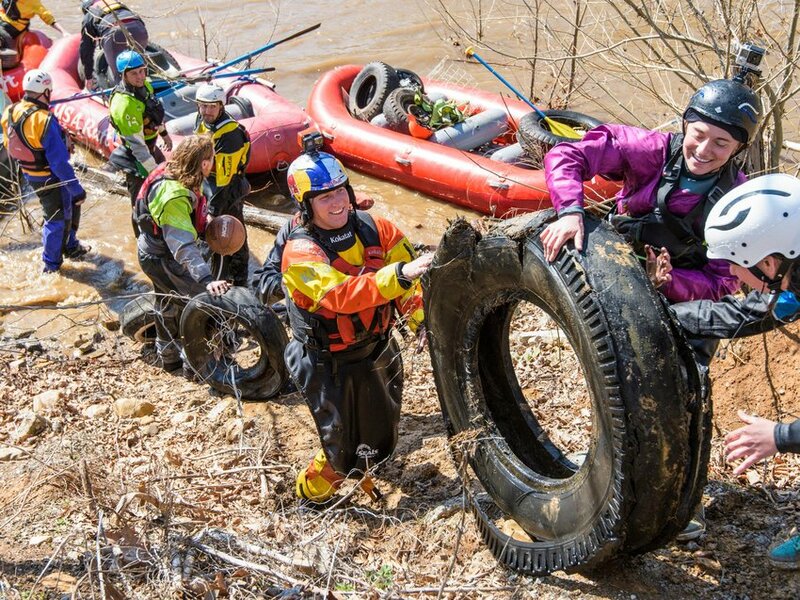 With only two laps on a three-mile stretch of the river, we picked up about five full raft-loads of trash, including over 40 tires. It’s crazy how in just one weekend, with two laps down the river, you can see the difference of how clean and beautiful the Nolichucky can be. What was the weirdest piece of trash you found? Hard to say because there was so much random stuff. I think the 60 pounds of roofing shingles was most surprising to me. Sometimes people accidentally drop bottles off a bridge or forget cans at a campfire. But those shingles showed just how much effort someone had to go through to throw them in the river. It was just clearly so deliberate. I mean, there’s got to be a dumpster somewhere within the same distance they had to drive to dump it in the river. If you could tell everyone one thing about helping keep rivers clean, what would it be? It’s a pretty simple concept: Take out what you take in. Putting trash in the river isn’t something that’s over the second you throw the trash in. It hurts families who go swimming there. It kills fish and other wildlife. It pollutes the water and evens hurt the local economy.